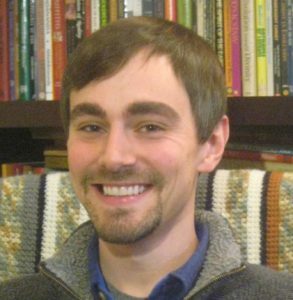 Matthew is a brilliant young man and gifted retreat leader, nurtured in the Christian contemplative Wisdom tradition by Cynthia Bourgeault herself. He presides as part-time priest for the St. Gregory’s Episcopal Church in Woodstock, NY, teaches for Northeast Wisdom, writes frequently for Contemplative Journal, and occasionally comes to West Coast to lead our community in Wisdom School and retreat. His primary interest is Wisdom: not knowing more, but knowing more deeply, fundamentally by the Way of the Heart. Matthew teaches that the heart not only the seat of emotions, but the primary organ of spiritual perception, and he works to cultivate this mode of seeing. His contemplative practice is also informed by the Mevlevi Order of Sufism through the teachings of Camille and Kabir Helminski. Matthew lives with his wife Yanick and cat Moonbeam on the grounds of the Holy Cross Monastery in West Park, NY.